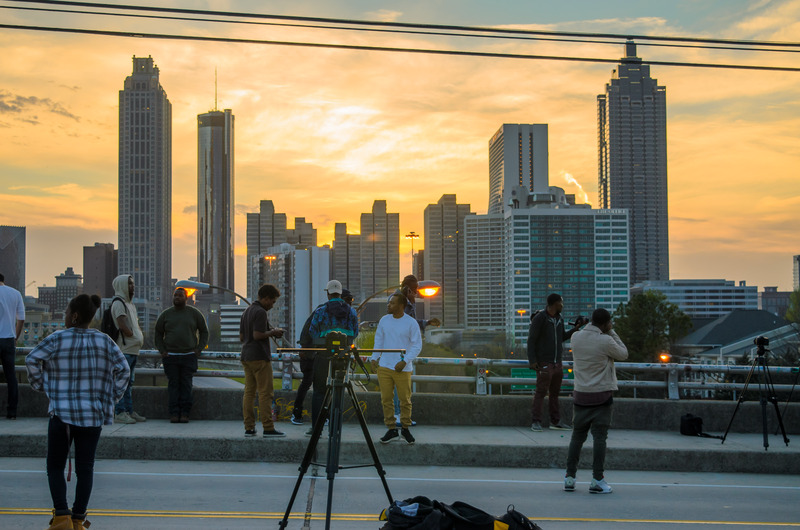 If you’ve ever seen a picture of the Atlanta skyline, it’s probably been from the Jackson Street bridge. 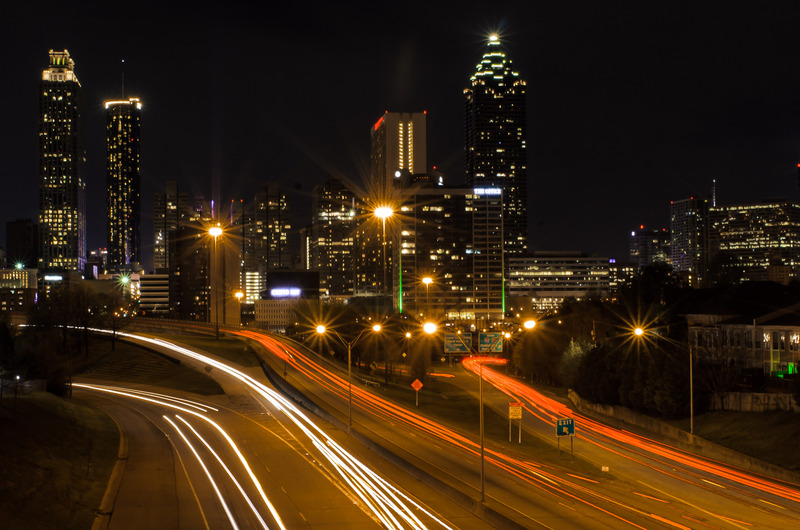 The perfectly squared up view of Peachtree from directly over the Freedom Parkway ramps is nothing short of iconic. I haven’t posted a picture of it yet, so I decided to get one last week. It turns out there was a prom going on that day and it was packed. Instead, I thought it might be interesting to see what the Jackson street bridge really looks like… crowded and loaded with cameras. This sent me on a journey to the west side to get a few shots from the opposite end. 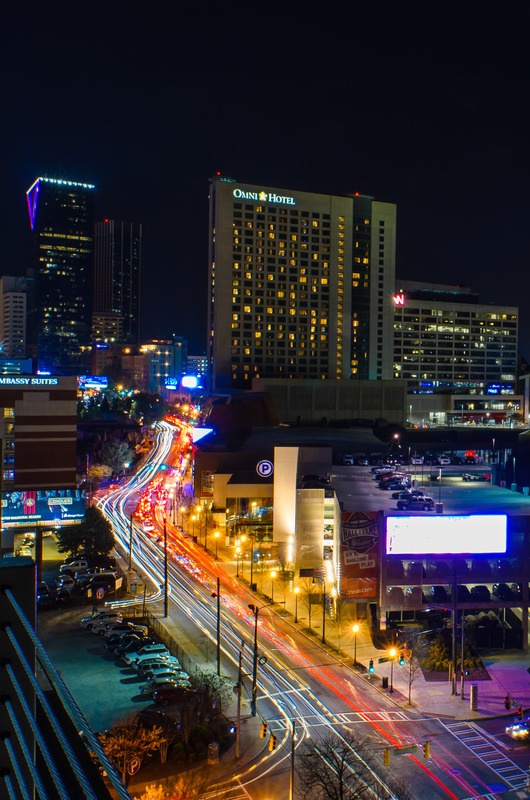 The industrial part of west midtown gives the city an entirely different feel. 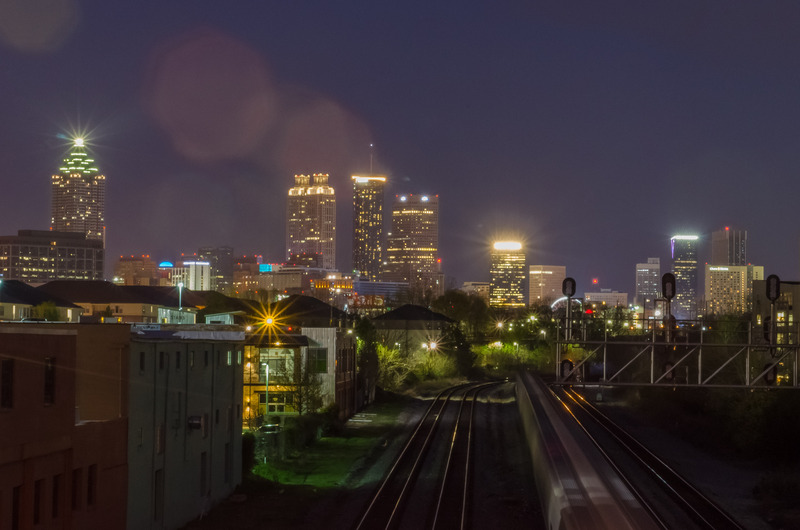 I was lucky enough to catch a train coming through from the Marietta Street bridge. Finally, I thought it might help tie everything together to get a shot from inside the city. The giant LED screens gave me a bit of trouble, but I learned a lot from that experience. Stay tuned for more.